What is the Forza Horizon 3 game? Forza Horizon 3 is an open world racing video game developed by Playground Games and published by Microsoft Studios for Xbox One and Microsoft Windows. The game features cross-platform play between the two platforms. The game was released on 23 September 2016 for Ultimate Edition players and 27 September 2016 for standard and Deluxe Edition players. How does Forza Horizon 3 Credits purchase? What are items can Forza Horizon 3 Credits to buy? Forza Horizon 3 Credits are the basic currency in the game, which gamers need to buy new cars and high-performance gears, modify and repair their cars. You can get credits by completing and unlocking achievements. 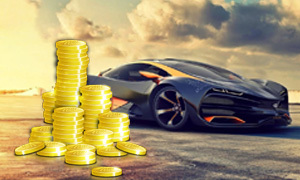 However, if you want to level up faster than your opponents, you can buy cheap Forza Horizon 3 credits for PC & Xbox One from Joymmo.com with the lowest prices. Order FH3 Credits online now!